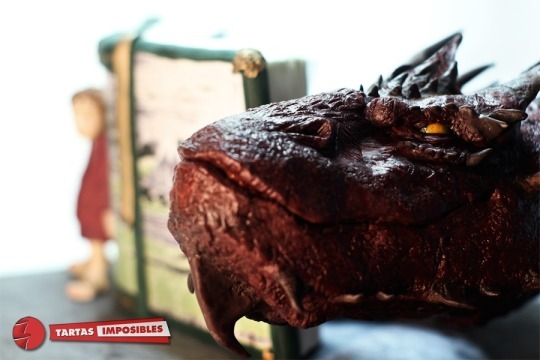 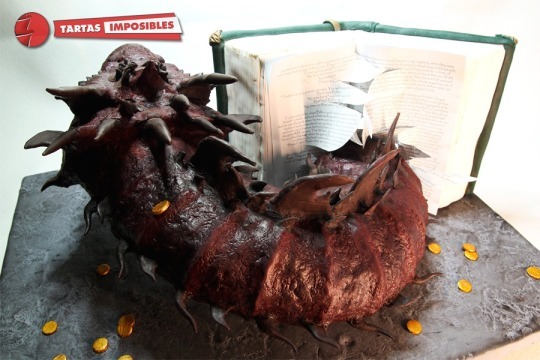 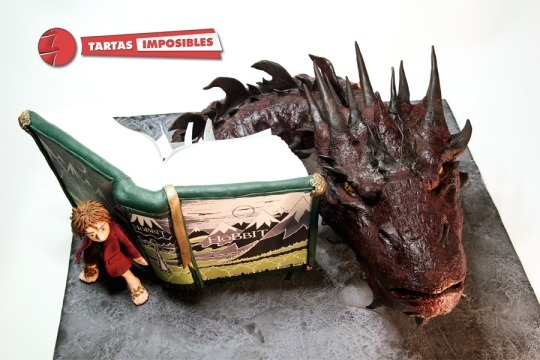 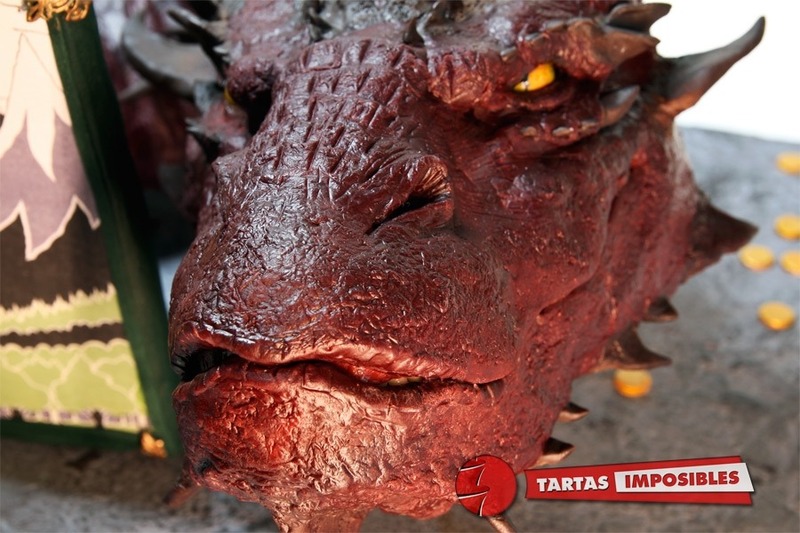 Tartas Imposibles created this gloriously geeky cake featuring Smaug and Bilbo as envisioned in The Hobbit movies! 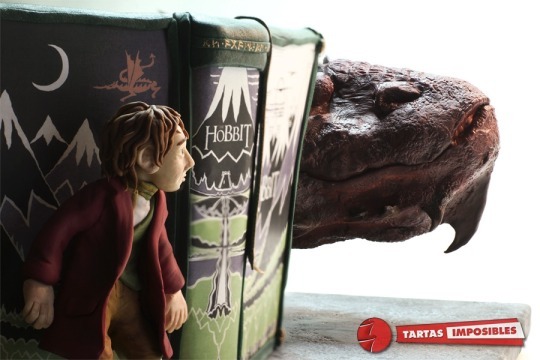 The cake depicts Bilbo hiding from Smaug behind a classic edition of The Hobbit book. 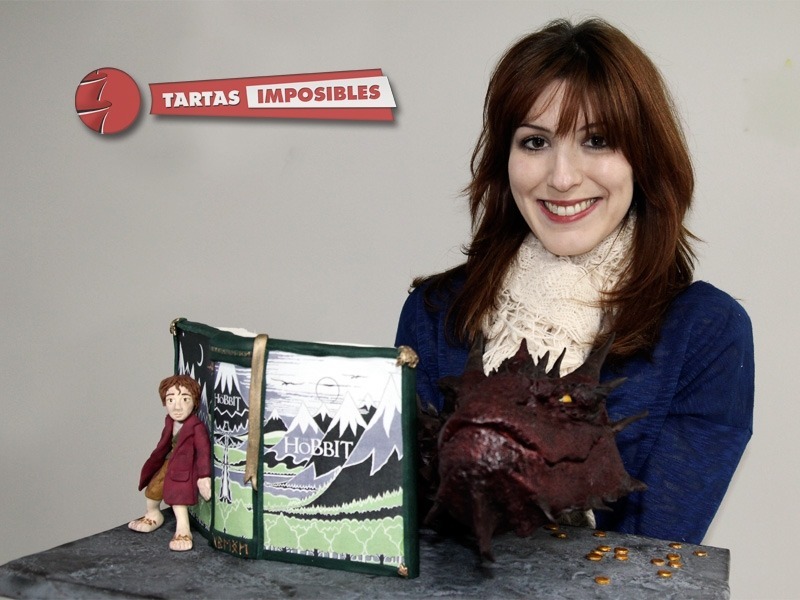 The pages of the book are torn like Smaug has just popped out of the book. 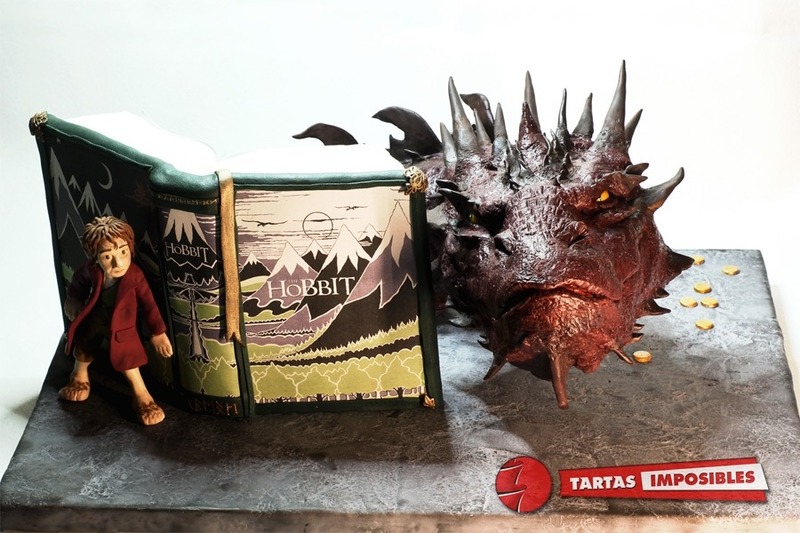 This Hobbit cake was made using sponge cake, fudge, and modeling chocolate. 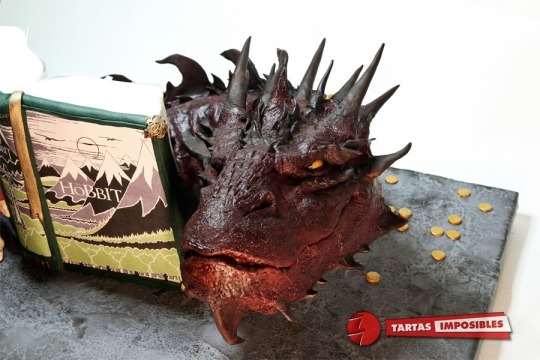 Smaug’s neck and head were made using Rice Krispies Treats coated in modeling chocolate. Modeling chocolate made it possible to detail a Smaug with a complex blend of many different colors. 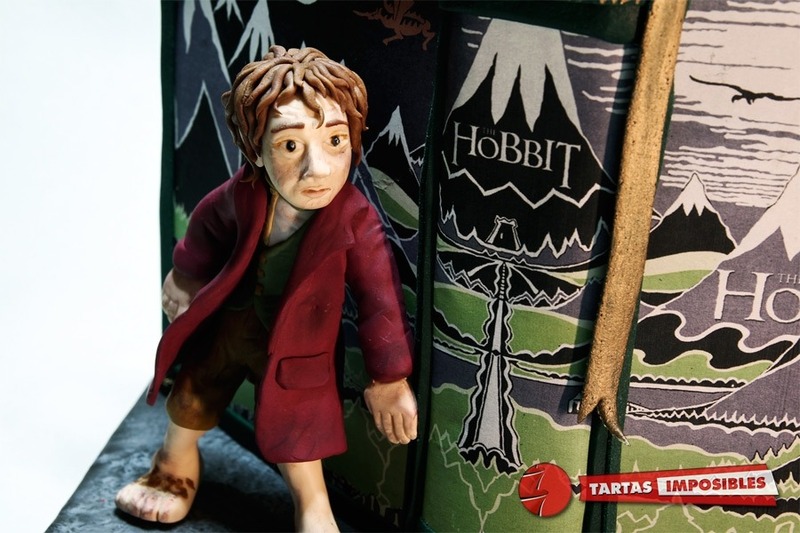 Bilbo was made using modeling chocolate.